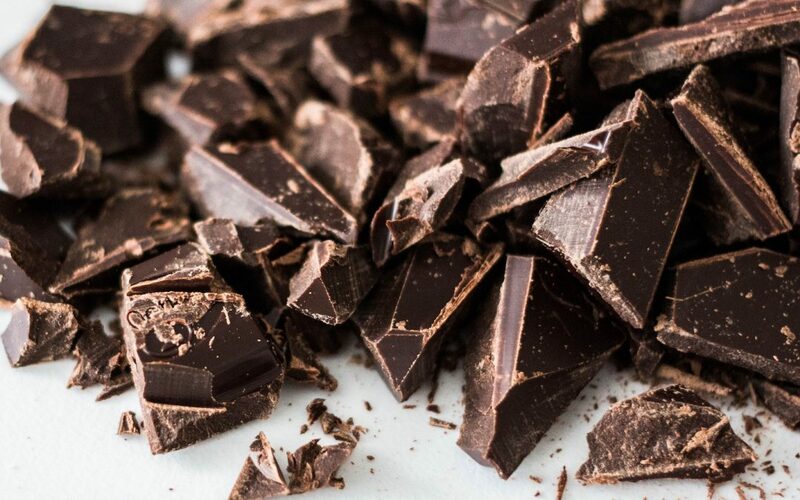 Here are three of my secret weapons for demolishing your sugar (and chocolate) cravings while simultaneously stuffing your body with vitamins, minerals, and healthy fats. Yes, it can be done!! Enjoy, and don’t hesitate to forward them to the people in your life who are struggling with sugar cravings, sugar addiction, or compulsive eating…or who just love healthy desserts. You never know who these recipes will help. This is my no-fail knock-your-sox-off trick-u-into-eating-heathy dessert. I’ve brought it to bbqs where people compared it to brownie batter. I’ve brought it to baby showers full of gluten and sugar, and it still got devoured. Simple and quick, hypoallergenic and uberchocolaty, it’s sure to please. Serve it in martini glasses for a chic look. Soak dates and cashews for 30 minutes in water. Blend all ingredients (except garnish) in food processor. Add splashes of soaking water as needed. Transfer to bowl, garnish, and serve. I invented this back when I couldn’t digest dairy. Now I can, because I’ve done a ton of work on my digestion. This Mexi cocoa is the perfect treat for your post-dinner chocolate cravings on a cold winter’s night. Feel free to use milk if you desire! Heat milks in a saucepan, SLOWLY. Add cacao while whisking gently. Add spices and stevia to taste. Whisk gently for a few minutes until cacao and spices are blended, and drink is heated to the appropriate temp. Chocolate truffles are super simple to make. This recipe calls for coconut milk and coconut oil. Coconut has amazing properties – it’s anti-fungal, anti-microbial, and great for hair, skin, and nails. Amazingly, it also helps regulate your metabolism. Feast on coconut all you want – it’s an incredibly nutritious (and delicious) food. Cover and place in the freezer for 15-20 minutes. Pour a little more cocoa, or shredded coconut or finely chopped nuts, into a shallow bowl (about 2 tablespoons) for the coating. Scoop out a small spoonful of the hardened chocolate, gently roll it in your hands, and drop it in the bowl with coating. Swirl it around to cover the ball with the topping of your choice. Place the covered truffles on a plate and repeat with the remaining chocolate.